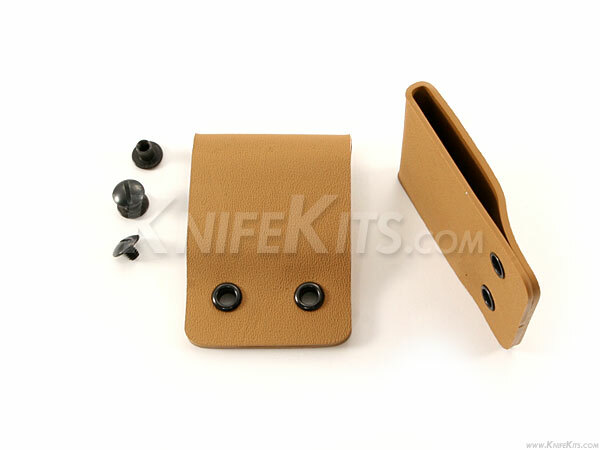 Our custom vertical/horizontal carry pre-formed belt loops with fasteners are designed to help you with the hardest part of making quality sheaths, the mounting. These are stronger than 99% of the KYDEX belts loops on the market at .080 gauge, yet designed to be versatile, comfortable and adaptable. These work great for all applications because you can add additional professional looking mounting holes in the main body of the loop with nothing more than a drill bit. 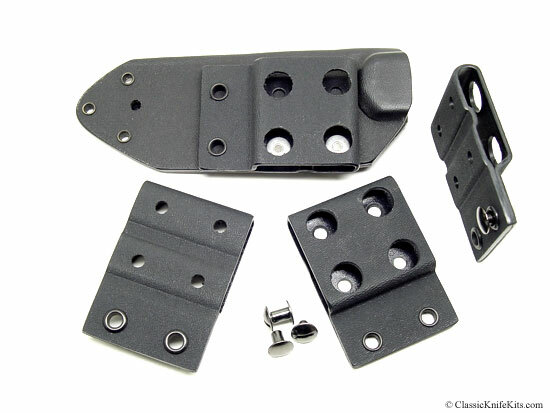 Standard horizontal carry can be set using the existing rivets. 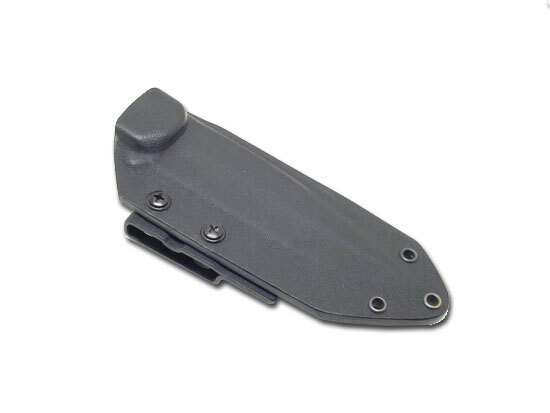 Made from KYDEX® sheet and includes fastening hardware. 2" x 2.5" x 2"
Note: See example of clip with additional attachment holes added below.